shikojn�, u botua p�r her� t� par�, n� vitin 1999, nga Shoq�ria jon� Biblike. P�r k�t� botim u p�rdor versioni �Lajmi i Mir�. Bibla jepet falas.
? 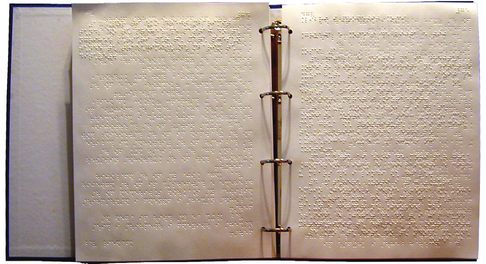 The Albanian Bible in �Braille� for the sight impaired. It was published for the first time by our Bible Society in 1999. The �Lajmi i Mir� version was used to publish this edition. The Bible is free.